Check Point encourages technology companies to partner with us via our Open Platform for Security (OPSEC) APIs to provide the broadest protection for our customers. OPSEC is an open, multi-vendor security framework with over 350 partners since the inception of the program in 1997 and guarantees customers the broadest choice of best-of-breed integrated applications and deployment platforms. Check Point and SIEM, network management, security assessment, compliance testing and auditing products integrate to provide a secure ecosystem. Check Point partners with leaders in computing innovations, software solutions, network optimization and infrastructure virtualization. Check Point integrates with leading public and private cloud IaaS, SaaS and CASB vendors to protect data in the cloud, reduce risk, achieve compliance and manage threats in cloud applications and environments. Customers can deploy Check Point software on open servers, Check Point Appliances, Check Point Integrated Appliance Solutions or on dedicated appliances from partners. Check Point integrates with mobile device management vendors and products to secure corporate resources and a mobile workforce. Check Point has partnered with leading security vendors to provide customers with a wide range of intelligence feeds in the ThreatCloud IntelliStore. Check Point SCADA security solutions partner with technology leaders to secure critical infrastructure and industrial control organizations. With integrated solutions from Check Point and leading SD-WAN vendors, customers can enable advanced threat prevention and achieve greater business agility at lower costs. Accellion, Inc. enables enterprise organizations to securely connect all their content to the people and systems that are part of their critical business processes, regardless of the applications that create that content or where it is stored, while maintaining the controls and visibility needed to demonstrate compliance. Accellion’s solutions have been used by more than 25 million end users and have been installed at more than 3,000 of the world’s leading corporations and government agencies including NYC Health + Hospitals; KPMG; Kaiser Permanente; Latham & Watkins; National Park Service; Umpqua Bank; Cargill; and the National Institute for Standards and Technology (NIST). Acronis sets the standard for New Generation Data Protection through its secure access, backup and disaster recovery solutions. Powered by the AnyData Engine and set apart by its image technology, Acronis delivers easy, complete and safe file access and sharing as well as backups of all files, applications and OS across any environment — virtual, physical, cloud and mobile. ActivIdentity is a leader in intelligent identity assurance, providing solutions to confidently establish trust in online identities. Over the past 20 years, the most security conscious organizations around the world have trusted ActivIdentity to safeguard their most critical assets and help them meet compliance requirements. ADLINK Technology is a leader in application-ready platforms, enabling the Internet of Things (IoT) with innovative embedded computing solutions for edge devices, intelligent gateways and cloud services. Application-ready platforms are integrated in the Communications, Mobile Edge Computing, Industrial Smart IoT Gateways, Control & Automation, Medical, Defense, Transportation, and Infotainment industries. A Premier Member of the Intel® Internet of Things Solutions Alliance, and a Gold Member of the Open Compute Project, ADLINK is the first provider of a Mobile Edge Computing platform that delivers data center performance built for extreme outdoor environments. ADVA Optical Networking's FSP 150 Carrier Ethernet access portfolio is a market-leading solution for business Ethernet services, wholesale Ethernet access infrastructure and mobile backhaul. Programmability and hosting of virtualized network functions enables efficient network virtualization for many applications and provides operators with multiple opportunities to enhance performance and cost structure of their networks. AirWatch by VMware is the leader in enterprise mobility management, with more than 16,000 global customers. The AirWatch platform includes industry-leading mobile device, email, application, content and browser management solutions. Combined with Check Point Mobile Threat Prevention, the solution provides dynamic and automatic threat mitigation by adjusting mobile device policies based on identified risk to a device, helping keep assets and sensitive data secure from advanced mobile attacks. Check Point is also a charter member of the AirWatch Mobile Security Alliance whose members support customers seeking to mitigate the growing mobile threat landscape by providing advanced security solutions that seamlessly integrate into the AirWatch platform. AlgoSec is a market leader in network security policy management. AlgoSec enables security and operations teams to intelligently automate the policy management of firewalls, routers, VPNs, proxies and related security devices, improving operational efficiency, ensuring compliance and reducing risk. Altair Semiconductor, a Sony Group company, is a leading provider of LTE Internet of Things (IoT) chipsets. Altair has shipped millions of chipsets to date, commercially deployed in LTE networks globally. Altair’s portfolio addresses the complete spectrum of market needs, from ultra-low-power low-cost IoT and M2M devices to super-high-throughput broadband access chipsets. These chipsets serve as the communications engine for connected “things,” including wearables, automotive and transportation, smart homes, smart cities, manufacturing systems, retail, healthcare and pharma, energy and utilities. AltiPeak is a Swiss based company, led by professionals with more than 15 years of experience in the security field, transaction processing, and strong authentication market. Strong authentication anywhere with everything - that's our motto and we work hard to achieve this goal. AltiPeak is known for its flexible and robust authentication platform, Safewalk. The platform offers improved security to Small and Medium Businesses, corporations, banks, insurance companies, the healthcare industry, and many more. Amazon Web Services (AWS), a subsidiary of Amazon.com, is a secure cloud services platform, offering compute power, database storage, content delivery and other functionality to help businesses scale and grow. Check Point CloudGuard for AWS, a certified AWS Security Competency solution, seamlessly delivers advanced threat prevention security to keep assets and data in AWS environments protected from even the most sophisticated threats. ArcSight, an HP company, is a leading global provider of cybersecurity and compliance solutions that protect organizations from enterprise threats and risks. Based on the market-leading SIEM offering, the ArcSight Enterprise Threat and Risk Management (ETRM) platform enables businesses and government agencies to proactively safeguard digital assets, comply with corporate and regulatory policy and control the internal and external risks associated with cybertheft, cyberfraud, cyberwarfare and cyberespionage. Arista Networks provides software-driven cloud networking solutions for large data center and high-performance computing environments. Arista's award-winning platforms provide connectivity at 10 to 100 Gigabits per second with aggregate switching capacities of over 100 Terabits. Driven by CloudVision and EOS software, and committed to open standards, Arista's products provide integration with every leading virtualization, cloud orchestration and data center security platform – thus redefining scalability, agility and resilience. Aruba, a Hewlett Packard Enterprise company, has partnered with Check Point Software to offer the industries most comprehensive role- and device-based access and threat protection for employee, guest and BYOD network access. Aruba's ClearPass Policy Management System and Exchange capabilities provide Check Point with valuable contextual data regarding every user and device for granular threat containment policies that go beyond traditional IP address correlation. Attivo Networks is the leader in deception-based in-network threat detection technology. As the leading innovator in cyber security defense, Attivo empowers continuous threat management using dynamic deceptions for real-time detection and analysis that enables accelerated response to cyber incidents. Detailed attack forensics shared automatically with Check Point Firewall allows prompt blocking to prevent exfiltration of data. AudioCodes is a market leader in the design and development of advanced Voice-over-IP and converged VoIP and Data networking products and solutions for service providers and enterprises. AudioCodes provides a range of innovative, cost-effective products, and Professional Services. AudioCodes’ products and solutions are deployed globally in IP, Mobile, Cable, and Broadband Access networks, as well as all sizes of Enterprises. Avanan adds security, privacy and compliance to the private and public cloud. Avanan’s Cloud Governance Platform connects enterprise cloud applications with the best-of-breed technologies from the industry’s most trusted vendors, to provide enterprise-class security for data in the cloud. BackBox is the leading provider for automated infrastructure backup and recovery solutions. Spanning across the diverse network and security landscape, BackBox verifies all supported device configuration files stores them securely in one central location, providing speedy recovery when required. BackBox provides real-time inventory, configuration comparison, and is ideal for any organization, multi-tenant sites, and service providers. BlackStratus is a pioneer of trusted security and compliance solutions deployed and operated on premise, in the cloud or "as a Service'' by providers of all sizes, government agencies and individual enterprises. Through patented multi-tenant security information and event management (SIEM) technology, BlackStratus delivers unparalleled security visibility, prevents downtime and achieves and maintains compliant operations at a lower cost to operate. 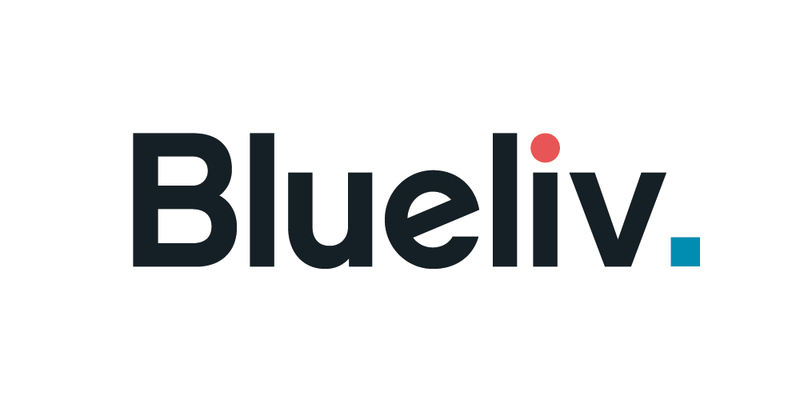 Blueliv is a leading provider of targeted cyber threat information and analysis intelligence for large enterprises, service providers, and security vendors. The company’s deep expertise, data sources, and big data analysis capabilities enable the clients to protect against cyber attacks. Its turnkey cloud-based platform addresses a comprehensive range of cyber threats to turn global threat data into real-time actionable intelligence specifically for each client. Blueliv’s clients include leading bank, insurance, telecom, utility, and retail enterprises. Bradford Networks is the leading provider of rapid threat response solutions that minimize the risk and impact of cyber threats. Its Network Sentry/RTR enables Cyber Security Teams to continuously assess the risk of every user and endpoint on the network, and automatically remove vulnerable and compromised devices that act as backdoors for cyber criminals. Check Point Software and Bradford Networks have partnered to automate the complex threat triage and response process to empower organizations to rapidly contain Advanced Persistent Threats (APT) in seconds. This unique correlation bridges the silos of security, network, and endpoint information to enable confident, automated threat containment before it has an adverse impact on the business. Carbon Black is the leader in advanced threat protection for endpoints and servers based on real-time visibility and prevention. Paired with Check Point's next-generation firewall and Threat Emulation solutions, Carbon Black's advanced threat protection capabilities extend the power of Check Point Threat Emulation to every endpoint and server, minimizes the overall attack surface, and accelerates incident response. CloudLock, the leading provider of CASB and Cybersecurity-as-a-Service solutions, offers the cloud security fabric enabling enterprises to protect their data in the cloud, reduce risk, achieve compliance, manage threats and increase productivity by continuously monitoring and protecting more than one billion files for more than 10 million end users daily. CloudLock delivers the only complete, risk-appropriate and people-centric approach to cloud cyber security. CommuniTake is a front-runner in remote access technology over mobile devices. CommuniTake delivers a leading Mobility platform that unifies comprehensive Enterprise Mobility Management with robust multi-channel support and core Internet of Things services. The CommuniTake solutions suite turns support to be the hallmark of a successful communication service provider; leverages enterprise mobile resources and processes to effectively drive business results within fully secure and managed mobility; and provides visibility and control over connected machines. CommuniTake proven success features superior technology; advanced functionality; flexible delivery methods; and a white label model. CommuniTake products are deployed by foremost operators and businesses worldwide. By unifying MDM and Check Point VPN gateways, IT departments can ensure that only compliant devices are allowed access to the corporate network. CrowdStrike is a global provider of security technology and services focused on identifying advanced threats and targeted attacks. Check Point and CrowdStrike work collaboratively to improve threat intelligence for our mutual customers. CyberInt deals with the cyber threat, not the cyber event. By taking the attackers perspective and looking beyond your perimeter and providing constant vigilance of cyber activities, CyberInt can eliminate potential threats before they become crises. Our expertise in cyber intelligence and protection of online activities defends companies of any size and nature. CyberObserver is a cybersecurity orchestration, management and awareness solution that provides CISOs and executives with a comprehensive view of their current cyber security posture. CyberObserver reveals the security gaps that exist in each security domain and delivers continuous proactive recommendations that need to be closed. The CyberObserver analytics engine continuously calculates on-line measurements that represent normal behavior and then alert when there is a deviation from normal behavior. Serving customers worldwide, CyberX enables real-time detection of cyber and operational incidents by providing complete visibility into operational networks. CyberX is a member of the Industrial Internet Consortium (IIC), OPC Foundation and ICS-ISAC and was recognized by Gartner as a Cool Vendor in Security for Technology and Service Providers, 2015. CyberX works closely with the Department of Homeland Security (DHS) ICS-CERT and relevant vendors to ensure full disclosure of new vulnerabilities discovered by its research team and threat intelligence services. Cygilant, a pioneer in hybrid security as a service, is transforming how organizations of all sizes build an enterprise-class security program. Acting as a multiplier to customers’ IT teams, Cygilant provides 24x7x365 security and compliance visibility, managed incident detection, response and remediation guidance backed by best-of-breed technology, industry best practices and global SOC analysts. Datablink is a global provider of advanced authentication and transaction verification solutions. Banks and enterprises around the globe rely on Datablink’s innovative out-of-band technology to protect billions of transactions and millions of users every year. Ecessa, an innovative pioneer of WAN link failover and load balancing technology, has been providing companies with greater network reliability, bandwidth, security and redundancy since 2002. In 2012, Ecessa furthered that innovate culture with the WANworX product line which provides Software-Defined-Wide Area Networking (SD-WAN) functionality. Ecessa products and management/monitoring tools easily integrate into any network. Ecessa solutions can be found in every corner of the globe, having been deployed in markets such banking/finance, medical, hospitality, manufacturing/distribution and law. ECI is a global provider of ELASTIC network solutions to CSPs, utilities as well as data center operators. Along with its long-standing, industry-proven packet-optical transport, ECI offers a variety of SDN/NFV applications, end-to-end network management, a comprehensive cyber security solution, and a range of professional services. ECI’s ELASTIC solutions ensure open, future-proof, and secure communications. With ECI, customers have the luxury of choosing a network that can be tailor-made to their needs today – while being flexible enough to evolve with the changing needs of tomorrow. At ElevenPaths - Telefónica Cyber Security global unit - our main objective is the creation of innovative security products that redefine how we deal with current and future threats, as well as to enable notions such as security or privacy for all persons by default. Tacyt is our innovative mobile cyber-intelligence tool that provides professionals and security experts with big data technology to investigate mobile app environments. By unifying Check Point Mobile Threat Prevention and Tacyt the joint solution allows customers to conduct in-depth research into any incidents Mobile Threat Prevention detects, for a better understanding of the exposure to cyber-threats. Ericom Software is a global leader in securely connecting the unified digital workspace. Ericom solutions protect today’s workforce, and corporate and organizational networks from the hazards of web-borne threats. By providing secure browsing via remote browser isolation and a variety of connectivity solutions, Ericom’s portfolio is pivotal to any corporate defense and connectivity strategy. With over 10 million users, Ericom has offices in the United States, United Kingdom and EMEA, and an extensive network of distributors and partners worldwide. ERPScan is the most respected and credible Business Application Security provider. Founded in 2010, the company operates globally. Awarded as an "Emerging vendor" in Security by CRN and distinguished by more than 25 other awards. ERPScan's primary mission is to close the gap between technical and business security, and to provide solutions to evaluate and secure ERP systems and business-critical applications from both cyber-attacks as well as internal fraud. Extreme Networks delivers software-driven solutions from the enterprise edge to the cloud that are agile, adaptive, and secure to enable digital transformation. Our 100% in-sourced services and support are number one in the industry. Even with 30,000 customers globally, including half of the Fortune 50 and some of the world's leading names in business, hospitality, retail, transportation and logistics, education, government, healthcare and manufacturing, we remain nimble and responsive to ensure customer and partner success. We call this Customer-Driven Networking. Established in 2006, FancyFon provides a portfolio of industry-leading solutions for the mobile device lifecycle management market, empowering businesses to remotely control, manage and secure their diverse mobile infrastructures. FancyFon Mobility Center (FAMOC™) provides asset, application, security and data access management, as well as end-user self-care and remote support for smartphones and tablets, either as a hosted or as an on-site solution. FEITIAN is a leading supplier of strong authentication, digital signature, PKI, data protection, and smart card related products. Since its establishment in 1998 FEITIAN has quickly become one of the world leaders in the industry providing solutions and products with over 10 million new users annually worldwide. Fiberlink, an IBM company, has over 20 years of experience in delivering enterprise mobility management and security solutions for organizations of all sizes. Thousands of customers rely on MaaS360 to accelerate deployment, reduce risk, increase employee productivity, and simplify mobile device management. By unifying MDM and Check Point VPN gateways, IT departments can ensure that only compliant devices are allowed access to the corporate network. FireMon provides enterprises and government with security management software that gives them deeper visibility and tighter control over their network security infrastructure. The FireMon solution set – Security Manager, Policy Planner and Risk Analyzer - enables customers to identify network risk, proactively eliminate those vulnerabilities and strengthen security throughout the organization, and reduce the cost of security operations and compliance. As actors engaged in illicit activities increasingly coordinate on the Deep & Dark Web, enterprise organizations are finding themselves the targets of harmful actions without any prior warning or insight into their origins. Recognizing the need to fill this intelligence gap, Flashpoint is pioneering critical data collection throughout the Deep & Dark Web to alert security teams when their organization, industry, or stakeholders are at increased risk. Armed with advanced notice of possible risk, clients can take appropriate proactive measures to safeguard their physical and cyber security. Flowmon Networks empowers businesses to manage and secure their network infrastructure confidently. Through our high performance monitoring technology and lean-forward behavior analytics, IT pros worldwide benefit from absolute network traffic visibility to enhance network & application performance and deal with modern cyber threats. Driven by a passion for technology, we are leading the way of NetFlow/IPFIX network monitoring that is high performing, scalable and easy to use. ForeScout Technologies is transforming security through visibility, providing agentless visibility and control of traditional and IoT devices the instant they connect to the network. Our technology works with disparate security tools to help accelerate incident response, break down silos, automate workflows and optimize existing investments. See devices. Control them. Orchestrate multivendor response. Fujitsu Technology Solutions is the leading European IT infrastructure provider with a presence in all key markets in Europe, the Middle East and Africa, plus India, serving large, medium and small sized companies as well as consumers. With its Dynamic Infrastructures approach, the company offers a full portfolio of IT products, solutions and services, ranging from clients to datacenter solutions, Managed Infrastructure and Infrastructure as a Service. Garland Technology is the leading network TAP manufacturer and provides the physical connection between the network and your active, in-line security applications. Garland's network TAPs guarantee 100% network uptime, visibility and access by ensuring every bit, byte, and packet® is fed to your Check Point security applications. Network capabilities support 1G/10G/40G and 100G and are available in bypass, aggregation/regeneration and breakout modes. Packet brokers with integrated hybrid bypass TAPs feature filtering capabilities with failsafe technology. Gemalto is the global leader in digital security, with 2015 annual revenues of €3.1 billion and customers in over 180 countries. We bring trust to an increasingly connected world. Our technologies and services enable businesses and governments to authenticate identities and protect data so they stay safe and enable services in personal devices, connected objects, the cloud and in between. Gemalto’s solutions are at the heart of modern life, from payment to enterprise security and the internet of things. We authenticate people, transactions and objects, encrypt data and create value for software – enabling our clients to deliver secure digital services for billions of individuals and things. Our 14,000+ employees operate out of 118 offices, 45 personalization and data centers, and 27 research and software development centers located in 49 countries. Gigamon (NYSE: GIMO) provides active visibility into data-in-motion network traffic, enabling stronger security and superior performance. Gigamon’s Visibility Fabric™ and GigaSECURE™, the industry’s first Security Delivery Platform, deliver advanced intelligence so that security, network, and application performance management solutions in enterprise, government, and service provider networks operate more efficiently and effectively. GlobalSign is a leading provider of trusted identity and security solutions enabling businesses, large enterprises, cloud-based service providers and IoT innovators around the world to conduct secure online communications, manage millions of verified digital identities and automate authentication and encryption. Its high-scale public key infrastructure (PKI) and identity management solutions support the billions of services, devices, people and things comprising the Internet of Everything (IoE). Google Cloud Platform is a secure, dedicated public cloud computing service operated by Google which provides a range of infrastructure and application services that enable deployments in the cloud. 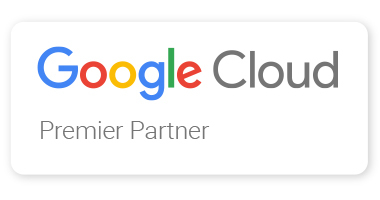 Check Point vSEC for Google Cloud Platform enables customers to extend security to the GCP cloud with a full range of protections. GuardiCore is a leader in internal data center security and breach detection. Developed by the top cyber security experts in their field, GuardiCore is changing the way organizations are fighting cyber-attacks in their data centers. Hexadite is the only agentless intelligent security orchestration and automation platform for Global 2000 companies. By easily integrating with customers’ existing security technologies and harnessing artificial intelligence that automatically investigates every cyber alert and drives remediation actions, Hexadite enables security teams to amplify their ability to mitigate cyber threats in real-time. Huntsman Security is a specialist security vendor that has been developing and providing innovative cyber security software to the defence and intelligence sectors internationally for more than 10 years. The Defence Grade Security Platform automates crucial stages of the incident management process to pinpoint the threats that matter and reduce time at risk to seconds. A private Australian company founded in 1999, we have offices in Sydney, London and Tokyo. IBM Security and Check Point work jointly together in an alliance that includes the sharing of threat intelligence, a broad set of product integrations, as well as a longstanding relationship across IBM's consulting and managed security services offerings to provide customers with deployment and ongoing management support for Check Point solutions. ICS2 is a cybersecurity company that develops innovative solutions for protecting critical infrastructure assets from advanced cyber-attacks. Our products and solutions are designed to address the operational needs of companies in energy, water, chemicals and manufacturing industries. ICS2 is led by team of experienced professionals with unique expertise in the areas of OT, IT, cyber security, machine learning and big data analysis. imVision Technologies cutting edge solution is designed to identify and understand anomalies in Telco cloud or hybrid networks. The company is made up of a unique blend of Telecom and cyber security experts, and backed by leading Venture Capital firms. Indeni makes it easy to manage the infrastructure of digital businesses. With Indeni Knowledge and Indeni Crowd companies can create an infrastructure that is adaptable to change. Our deep set of integrations to critical devices, built-in automation, and easy to read remediation instructions arm IT with the knowledge they need to move from reactive to proactive infrastructure management. InfoBay is an enterprise-proven, completely secure email platform, offering a suite of products designed to securely protect all stored and transmitted data. InfoBay targets corporate clients, offering end-to-end security for email and attachments distributed to employees and partners, suppliers and customers, wherever they are. InfoBay is ISO 27001 and 90001 Certified. Infoblox delivers Actionable Network Intelligence to enterprises, government agencies, and service providers around the world. As the industry leader in DNS, DHCP, and IP address management (DDI), Infoblox provides control, security, and analytical capability from the network core, empowering thousands of organizations to pursue the big initiatives driving business success today—next-generation data centers, security, compliance, and digital transformation—and achieve business outcomes such as increased efficiency and visibility, reduced risk, and better customer experience. IntSights is a cyberthreat intelligence service provider offering subscription based services which delivers rapid, accurate and customized threat intelligence and incident mitigation in real time. This is thanks to their superior, patent pending technology which enables wide coverage and access to multiple sources in the open, deep and dark web. IntSights automatically detects and prioritizes the cyberthreats threatening organizations and provides remediation solutions at the click of a button. iPass helps enterprises and telecom service providers ensure their employees and subscribers stay well connected. Founded in 1996, iPass delivers the world's largest commercial-grade Wi-Fi network and trusted connectivity platform. With more than one million Wi-Fi hotspots across 113 countries and territories, iPass gives its customers always-on, frictionless connectivity anywhere in the world – simply, securely and cost-effectively. IRONSCALES introduces the first solution to combine human intelligence with machine learning to automatically prevent, detect and respond to e-mail phishing attacks. Through automation, the solution reduces the workload burden on SOC teams by automatically remediating and analyzing incoming threats, and quarantining and deleting suspected phishing e-mails in real-time. Karmasis is one of the leading provider of security and compliance software (in Turkey) that helps organizations meet policy and compliance requirements. Our solutions enable military, government, and large enterprises to raise awareness and meet regulatory compliance by visually alerting end users to the sensitivity of information. Karmasis solutions are deployed to over 110 thousand computers within our 85+ military, government and enterprise customers. 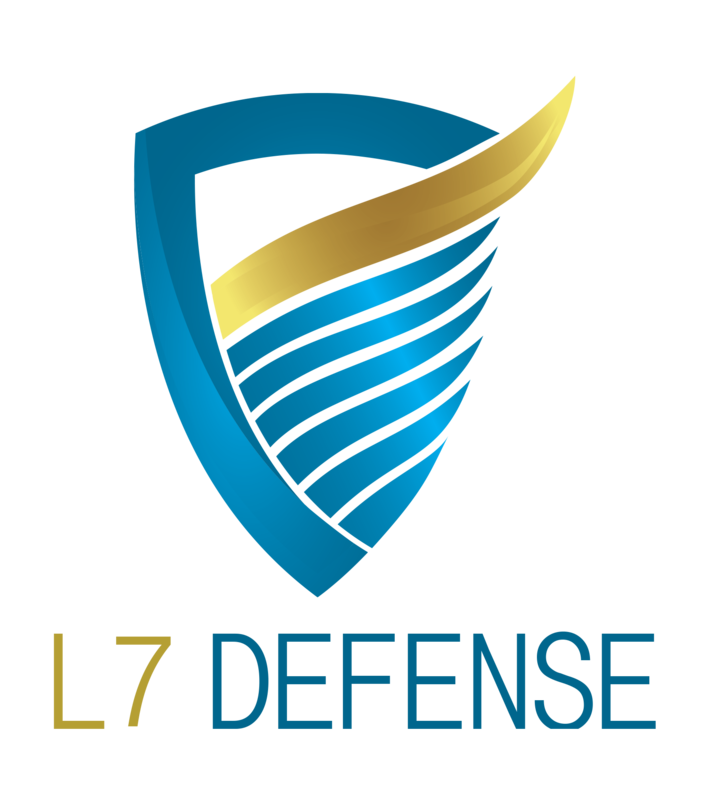 L7 Defense has developed a "Natural Intelligence" (NI) platform named Ammune®, which uses an innovative approach to identify and stop SaaS and on-premises Distributed Denial of Service (DDoS) attacks, in real time. The software-based technology is fully automated, built to scale, and utilizes machine learning components that don't require any knowledge of the attack method or of the protected system. LogRhythm is the world's largest and fastest growing independent vendor of Security Intelligence solutions. LogRhythm's patented and award-winning Security Intelligence Platform unifies SIEM, log management, file integrity monitoring, network forensics and host forensics, empowering organizations around the globe to detect and respond to today's most advanced breaches and cyber threats with unrivaled speed and accuracy. Malware Patrol provides intelligence to prevent malware and ransomware infections, transmission of compromised data, communications with botnets and C&Cs as well as other security risks. ManagedMethods offers a highly efficient way to gain visibility into how data is stored, accessed and shared in cloud applications such as Microsoft Office 365, OneDrive, Google G Suite, Dropbox and Box, as well as to control unsanctioned Shadow IT applications. ManagedMethods’ Cloud Access Monitor is the only Cloud Access Security Broker (CASB) that can be deployed in 30 minutes, with no special training, and with no impact on users or networks. ManageEngine delivers the real-time IT management tools that empower an IT team to meet an organization's need for real-time services and support. 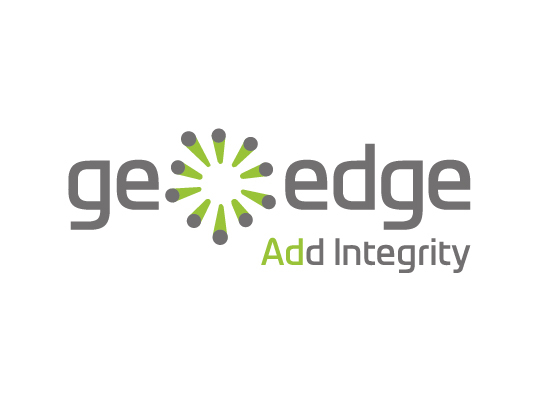 Worldwide, more than 65,000 established and emerging enterprises rely on ManageEngine products to ensure the optimal performance of their critical IT infrastructure, including networks, servers, applications, desktops and more. Matrix42, is a top provider of workspace management software, which offers a ‘Smarter workspace’ with creative solutions for modern work environments. With more than 3,000 customers around the world, including BMW, Infineon, and Carl Zeiss, it manages their 3 million devices using its workspace management solutions. Matrix42’s products and solutions are designed to manage simply, efficiently and modern work environments– across physical, virtual, and mobile work spaces. Menlo Security protects organizations against cyber attacks from the Web, email and other critical threat vectors. The company's patented Isolation Platform isolates all content and eliminates malware in the cloud (public or private), providing users with a completely transparent and safe experience without the need to deploy and update software to their endpoints. User deployments include large enterprises, Fortune 500 companies and financial services institutions. Minerva is a unique anti-malware solution that prevents cyber-attacks before any damage has been done without the need for prior detection or for any other knowledge. Minerva's Environment Simulation Technology (EST) creates an environment in which malware stays asleep indefinitely, giving enterprises the ability to handle targeted attacks with the confidence and peace of mind that the threat has been neutralized. As part of its Defense Ecosystem (DES), Minerva has partnered with Check Point to prevent Targeted Attacks, analyze security intelligence, and increase the efficacy of threat investigations while reducing the resources needed by SOC personnel to achieve improved results. Mnemonic is one of the largest providers of information security services in Europe. Specializing in Managed Security Services, Technical Risk Services, Security Infrastructure and Governance, Risk and Compliance (GRC) services, mnemonic delivers a full spectrum of security services to all industries. Built upon a proprietary platform, Mnemonic's Argus Managed Defense service globally processes over 3 billion events per day and supplements a Threat Intelligence research team that is a trusted resource for both enterprises and law enforcement agencies, including Europol. A leader in security and management for mobile apps, content, and devices, MobileIron's mission is to enable organizations around the world to embrace mobility as their primary IT platform in order to transform their businesses and increase their competitiveness. Leading global companies rely on MobileIron's scalable architecture, rapid innovation, and best practices as the foundation for their Mobile First initiatives. By unifying MDM and Check Point VPN gateways, IT departments can ensure that only compliant devices are allowed access to the corporate network. Napatech helps companies to reimagine their business by bringing hyperscale computing benefits to IT organizations of every size. We enhance open and standard servers to boost innovation and release valuable computing resources that improve services and increase revenue. Our reconfigurable computing platform™ is based on a broad set of FPGA software for leading IT compute, network and security applications that are supported on an array of FPGA hardware designs. IdeaData's NetFlow Auditor is a premier flow-analytics solution providing extreme visibility eliminating network blindspots. Anomaly detection and end-point threat intelligence coupled with unique granularity for high-compliance meta-data retention and security forensics help organizations reduce risks associated with inappropriate and malicious traffic and poor performance. Trusted globally by the largest companies for its scalability and flexible analytics. Perpetual diagnostics enable fast mitigation from DDoS, insider threats, botnets, illicit transfers and other bad actors. Netformx is the leader in sales enablement and profit acceleration platforms for solution providers. Netformx delivers an Ecosystem as a Service (ESaaS), which enables IT solution providers to design, analyze, and sell winning and implementable multivendor solutions for Enterprise customers, while operating their businesses profitably. Netformx accelerates solution provider profits by providing powerful business intelligence, actionable insights, collaboration, and automation that connect people, information, and processes. The result is increased competitiveness and productivity across the sales lifecycle. Netformx has over 2,000 service provider, systems integrator, and technology vendor customers in more than 120 countries. Netskope is the leader in cloud security. We help the world’s largest organizations take advantage of cloud and web without sacrificing security. Our patented Cloud XD technology targets and controls activities across any cloud service or website and customers get 360-degree data and threat protection that works everywhere. We call this smart cloud security. Nozomi Networks Inc. provides innovative cybersecurity and operational visibility solutions for industrial control systems (ICS). Its technology delivers immediate insight into ICS networks, devices, and process status, rapidly identifying and enabling fast remediation of cyber-attacks and process anomalies. Deployed in some of the world’s largest industrial installations, operators trust Nozomi Networks’ products to enhance cybersecurity, maximize uptime and deliver real ROI. Nuage Networks brings a combination of technologies and networking expertise to the enterprise and telecommunications industries. The Silicon Valley-based start up has applied new thinking to the problem of delivering massively scalable and highly programmable SDN solutions with the security and availability required by business-critical environments. Nuage Networks, backed by Nokia Corporation's rapidly growing IP/Optical Networks (ION) division, has the pedigree to serve the needs of the world's biggest clouds. The cloud has made promises – the mission of Nuage Networks is to help you realize them. NXLog Ltd. specializes in developing IT security tools including secure log collection solutions as the primary focus. With the NXLog Enterprise Edition, customers can build a secure, flexible and reliable log infrastructure which satisfies the highest IT requirements of any organization and enables them to achieve regulatory compliance, easily identify security risks and policy breaches or analyze operational problems. OneSpan enables financial institutions and other organizations to succeed by making bold advances in their digital transformation. We do this by establishing trust in people’s identities, the devices they use, and the transactions that shape their lives. From digital onboarding to fraud mitigation to workflow management, OneSpan’s unified, open platform reduces costs, accelerates customer acquisition, and increases customer satisfaction. OpenStack is an open source cloud operating system for building public and private clouds. The OpenStack software is developed by a community of developers and organizations and managed by the OpenStack Foundation, a non-profit organization and alliance of companies with similar interests in scalable cloud infrastructure. Check Point is one of the members and contributors to the OpenStack community and integrates with OpenStack to protect and secure cloud environments. OPSWAT provides solutions to secure and manage IT infrastructure. Founded in 2002, OPSWAT delivers solutions that provide manageability of endpoints and networks, and that help organizations protect against zero-day attacks by using multiple antivirus engines scanning and document sanitization. OPSWAT's intuitive applications and comprehensive development kits are deployed by SMB, enterprise and OEM customers to more than 100 million endpoints worldwide. With PRTG Network Monitor, Paessler AG is developing a monitoring solution that helps IT professionals monitor their entire infrastructure around the clock. It provides full insight into your network and its performance, to ensure that all business critical components of your IT infrastructure are running smoothly, with 100% uptime. More than 200,000 system administrators worldwide trust PRTG every day and for IT monitoring. Passlogy provides a security solution for the authentication industry specializing in one-time passwords. Passlogy’s core product, PassLogic, is a leading product of token-less and one-time password solutions in the Japanese security market. Passlogy offers safe and secure products to contribute the building of global information infrastructure. PhishLabs provides 24/7 managed security services that protect against phishing attacks. The company analyzes millions of potential phishing attacks every day, providing global visibility and insight into the phishing threat landscape. PhishLabs’ experts use this visibility and insight to manage phishing awareness training programs, completely mitigate phishing attacks, and provide impactful threat intelligence. Their real-time Phishing Threat Indicator Feed provides a full array of email, network, and host IOCs sourced from analyzing phishing email lures, malware payloads, and malicious sites. Picus Security was established in 2013 by a strong team of information security experts. Picus’ first of its kind security assessment software offers a new paradigm with its “Continuous Security Validation” approach and fills the gap that penetration testing, vulnerability management, and policy management solutions cannot address. Portnox is a market leader for Network access control and management solutions. By spanning the diversity of network technologies and devices in-use today, the Portnox platform allows companies to grow, optimize and evolve their infrastructure while ensuring security and compliance. Portnox's Network Access Control Platform traverses across all network layers, whether physical, virtual or in the cloud to illuminate, visualize, analyze and control all connected devices and users. Positive Technologies is a leading global provider of enterprise security solutions for vulnerability and compliance management, incident and threat analysis, and application protection. Commitment to clients and research has earned Positive Technologies a reputation as one of the foremost authorities on Industrial Control System, Banking, Telecom, Web Application, and ERP security. Pulse Secure is a leading provider of secure access solutions to both enterprises and service providers. Enterprises from every vertical and of all sizes utilize the company’s Pulse virtual private network (VPN), network access control (NAC), virtual application delivery controller (vADC) and mobile security products to enable end-user mobility securely and seamlessly in their organizations. Pulse Secure’s mission is to deliver secure access solutions for people, devices, things, and services. RAD is a leader in secure communications solutions for the critical infrastructure of power utilities and other segments of the energy industry. Our Service Assured Networking solutions include best-of-breed tools for cyber security and mission-critical communications, as well as for seamless migration to modern packet switched networks and applications. Founded in 1981, RAD has an installed base of more than 14 million units and is a member of the $1.25 billion RAD Group of companies, a world leader in communications solutions. Radware is a global leader of application delivery and application security solutions for virtual and cloud data centers. Its award-winning solutions portfolio delivers full resilience for business-critical applications, maximum IT efficiency, and complete business agility. Radware's solutions empower more than 10,000 enterprise and carrier customers worldwide to adapt to market challenges quickly, maintain business continuity and achieve maximum productivity while keeping costs down. RedSeal provides a cybersecurity analytics platform to Global 2000 organizations that certifies their evolving networks are secure and accelerates compliance initiatives. RedSeal's advanced analytics engine creates functioning network models, tests networks to identify security risks, prioritizes needed actions, and provides critical information to quickly remediate issues. The result: reduced cybersecurity risk and lower incident response and maintenance costs. Restorepoint’s solutions help organisations and service providers reduce cost, manage unforeseen risks, and accelerate change management across their multi-vendor network infrastructures. Using our cost-effective products, customers are able to quickly automate Network Outage Protection, Compliance Auditing, Privileged Access Management and simplify Bulk Change Management. Riverbed delivers performance for the globally connected enterprise. By giving enterprises the platform they need to understand, optimize and consolidate their IT, Riverbed helps enterprises to build a fast, fluid and dynamic IT architecture that aligns with the business needs of the organization. Based in San Francisco, California provides a comprehensive full-stack identity and access management solution on the market. It’s a single product that meets all your identity needs, meets them with greater convenience and ease-of- use, at reduced total cost, and without leaving holes in your digital security, even when devices are offline. SAASPASS allows you to do with one product what it currently takes a combination of 4 to 5 other products to do. Instead of stitching together two or more-point solutions for Multi-Factor authentication, Single Sign-On, endpoint device access, password management, and physical access control; SAASPASS supports all of them out-of- the-box with a single dashboard for user management. Safe-T Data is the provider of solutions designed to mitigate attacks on business-critical services and data for a wide range of industries, including: financial, healthcare, government, etc. Safe-T's High-risk Data Security (HDS) Solution mitigates data threat: un-authorized access to data, services, networks, or APIs; as well as data related threats, including data exfiltration, leakage, malware, ransomware, and fraud. Companies and governments around the world trust Safe-T to secure their data, services, and networks from insider and external data threats. Focused on providing security solutions for the enterprise market, Safe-T enables organizations to benefit from enhanced productivity, efficiency, heightened security, and improved regulatory compliance. Safe-T operates in North America, APAC, Africa, Europe, and Israel. Together, SafeNet and Cryptocard now offer the most complete solution available for strong authentication and access control, delivered both on premise and from the cloud. The combination of SafeNet's leadership in data protection with Cryptocard's innovative authentication-as-a-service portfolio will change the way organizations around the world deploy and manage their authentication strategies and platforms today and into the future, helping them to accelerate deployment with improved flexibility and lower cost to their business. As market leader in enterprise application software, SAP (NYSE: SAP) helps companies of all sizes and industries run better. From back office to boardroom, warehouse to storefront, desktop to mobile device – SAP empowers people and organizations to work together more efficiently and use business insight more effectively to stay ahead of the competition. SAP applications and services enable more than 258,000 customers to operate profitably, adapt continuously, and grow sustainably. By unifying MDM and Check Point VPN gateways, IT departments can ensure that only compliant devices are allowed access to the corporate network. SCADAfence is a pioneer in securing smart manufacturing industries such as chemical, pharmaceutical, food & beverage and automotive. In such industries, traditional security solutions are inadequate due to the unique requirements, technologies and components found in industrial networks. SCADAfence offers a solution designed to ensure the operational continuity of industrial networks by providing increased visibility and detection of operational and security threats. Secret Double Octopus delights end users and security teams alike by replacing passwords across the enterprise with the simplicity and security of strong passwordless authentication. Our unique, innovative approach provides users with a simple “touch and go” experience and a consistent way to access applications while providing stronger protection against cyber-attacks. SecurePush, the top safe identity authentication system is based on in-house patented technology and especially designed for banks, credit card companies, e-commerce, social networks, cloud providers, Internet routers and switches, sensitive web sites and many more… SecurePush provides your customers with the necessary tools to perform any sensitive on-line action, such as financial and commercial transactions or log-in to a social network account, eliminating the possibility of fraud or identity theft, whenever and wherever needed, simply via a user's smart phone or any other smart device in his possession. SecurityMatters is an international company that develops and brings to the market cutting-edge network monitoring, intelligence and protection technology to make its customers more secure and in control. SecurityMatters product line approaches the problem of securing computer networks in a totally new and innovative manner called self-configuring, deep-protocol, network whitelisting. This approach is the result of more than 20 years of research and experience in the field of network intrusion detection. Sensage helps organizations collect, store, analyze and interpret complex information to identify new threats, improve cyber security defenses, and achieve industry and regulatory compliance. Sensage serves its customers' most advanced Security Information and Event Management (SIEM), log management, Call Detail Record (CDR) retention and retrieval and Continuous Controls Monitoring (CCM) use cases. SenseCy is focused on delivering effective cyber intelligence to financial institutions, corporate businesses, governments and others. SentryBay is a real-time data security company that provides cutting-edge, proactive security software in the key areas of anti-keylogging, anti-phishing, secure browsing, secure cloud and mobile security. SentryBay is headquartered in the UK and services high profile customers and partners globally. ServiceNow is changing the way people work. Customers use our platform to define, structure and automate the flow of work, removing dependencies on email, spreadsheets and other manual processes to transform the delivery of service to the enterprise. With ServiceNow Security Operations, customers can bring incident data from their security tools into a structured enterprise security response engine that uses intelligent workflows, automation, and a deep connection with IT to prioritize and resolve threats based on the impact they pose to your organization. Silver Peak is the global leader in broadband and hybrid WAN solutions. Silver Peak offers a high-performance SD-WAN solution that provides secure and reliable virtual overlays to connect users to applications with the flexibility to use any combination of underlying transport without compromising application performance. This results in greater business agility and lower costs. More than 2,275 globally distributed enterprises have deployed Silver Peak broadband and hybrid WAN solutions across 80 countries. Silverfort enables strong authentication across entire corporate networks and cloud environments, without any modifications to endpoints and servers. Using patent-pending technology, Silverfort applies multifactor authentication and adaptive authentication even for systems that don’t support it today, with an agentless solution. Silverfort allows organizations to prevent data breaches and achieve compliance instantly, by preventing identity-based attacks even across complex, dynamic networks (including hybrid and multi-cloud environments). Sixgill is a cyber intelligence platform that detects and defuses cyber threats before they become cyberattacks. 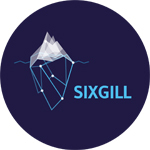 By continuously crawling the Dark Web’s social network, Sixgill automatically and covertly monitors and analyzes illegal activity on a massive scale. Sixgill exposes malicious activity at the earliest stages of the cybercrime lifecycle with unprecedented accuracy – often before the damage is done. Skybox arms security teams with a powerful set of security management solutions that extract insight from traditionally siloed data to give unprecedented visibility of the attack surface, including all Indicators of Exposure (IOEs). By extracting actionable intelligence from data using modeling and simulation, Skybox gives security leaders the insight they need to quickly make decisions about how to best address threat exposures that put their organization at risk, increasing operational efficiency by as much as 90 percent. Skyhigh Networks is a cloud security and enablement company that allows enterprises to safely adopt cloud services while meeting their security, compliance, and governance requirements. The solution provides an objective risk assessment for all cloud services, identifies anomalies indicative of data exfiltration, allows enforcement of data loss prevention policies and application of encryption, tokenization and contextual access controls. Skyhigh integrates with existing enterprise components including firewalls and proxies, encryption key management, DLP engines, SIEMs to extend existing policies and workflows to the cloud. Skyhigh’s integration with Check Point allows mutual customers to leverage Skyhigh’s CASB platform and Check Point’s Next Generation Firewall to understand and enable the use of secure cloud applications, enforce policies to comply with regulations and detect anomalous usage to protect against threats to corporate data. SolarWinds provides powerful and affordable IT management software to customers worldwide from Fortune 500 enterprises to small businesses. In all of our market areas, our approach is consistent. We focus exclusively on IT Pros and strive to eliminate the complexity that they have been forced to accept from traditional enterprise software vendors. More than 100 million users in 150 countries rely on Sophos as the best protection against complex threats and data loss. Sophos is committed to providing complete security solutions that are simple to deploy, manage, and use that deliver the industry's lowest total cost of ownership. Sophos offers award winning encryption, endpoint security, web, email, mobile and network security backed by SophosLabs – a global network of threat intelligence centers. By checking the mobile devices' security status with Sophos prior to granting access to sensitive business resources, companies can embrace the BYOD trend seamlessly – both to the end user and to the IT team. Splunk® software collects, indexes and harnesses the machine-generated big data coming from the websites, applications, servers, networks and mobile devices that power business. The Splunk Add-on for Check Point uses the OPSEC API to collect and analyze log data from Check Point security devices, enabling organizations to monitor, search, analyze, visualize and act on massive streams of real-time and historical machine data. Symantec Corporation (NASDAQ: SYMC) is an information protection expert that helps people, businesses and governments seeking the freedom to unlock the opportunities technology brings — anytime, anywhere. Symantec is proud to be partnering with Check Point to integrate next generation firewalls, advanced endpoint security technologies, and security intelligence to help pinpoint critical threats, increase the efficacy of threat investigations and streamline remediation efforts. Symantec's Managed Security Services minimizes the potential business impact of increasingly sophisticated advanced targeted attacks by reducing the time required to detect, prioritize and respond to security incidents. Our cloud-based incident detection platform aggregates and correlates unfiltered alerts from a diverse set of technologies across the enterprise, and then factors in global threat intelligence to help detect malicious activity. Telco Systems delivers an industry-leading portfolio of Carrier Ethernet and MPLS-based demarcation, aggregation and edge solutions, enabling service providers to create intelligent, service-assured, CE 2.0-compliant networks for mobile backhaul, business services and cloud networking. Telco Systems’ end-to-end Ethernet, SDN- & NFV-ready product portfolio delivers significant advantages to service providers, utilities and city carriers competing in a rapidly evolving telecommunications market. TrapX Security is the leader in deception-based cybersecurity defense. The TrapX solution rapidly deceives, detects, and defeats advanced cyberattacks and human attackers in real time. DeceptionGrid provides automated, highly accurate insight into malicious activity unseen by other types of cyberdefenses. By deploying DeceptionGrid, you create a proactive security posture, fundamentally stopping the progression of an attack while changing the economics of cyberattacks by shifting the cost to the attacker. The TrapX Security customer base includes Forbes Global 2000 commercial and government customers worldwide in sectors that include defense, health care, finance, energy, consumer products, and other key industries. Tripwire is a leading provider of advanced threat, security and compliance solutions that enable enterprises, service providers and government agencies to confidently detect, prevent and respond to cybersecurity threats. Tripwire solutions are based on high-fidelity asset visibility and deep endpoint intelligence combined with business-context and enable security automation through enterprise integration. Tripwire's portfolio of enterprise-class security solutions includes configuration and policy management, file integrity monitoring, vulnerability management and log intelligence. Trustwave is a leading provider of on-demand and subscription-based information security and payment card industry compliance management solutions to businesses and government entities throughout the world. Trustwave provides a unique approach with comprehensive solutions that include SIEM, WAF, EV SSL certificates and secure digital certificates. Tufin™ is a leading provider of Security Policy Management solutions that enable organizations to take control their firewalls. More than 1000 companies have deployed the award-winning Tufin Security Suite to proactively manage risk, continuously comply with standards, and keep business-critical applications online. Twistlock is the industry's first enterprise security suite for container security. Twistlock technologies address risks on the host and within the application of the container, enabling enterprises to consistently enforce security policies, monitor and audit activity and identify and isolate threats in a container or cluster of containers. Twistlock's mission is to provide a full, enterprise-grade security stack for containers, so organizations can confidently adopt and maximize the benefits of containers in their production environment. VeloCloud Networks simplifies branch WAN networking by automating deployment and improving performance over private, broadband Internet and LTE links for today’s increasingly distributed enterprises. VeloCloud SD-WAN includes: a choice of public, private or hybrid cloud network for enterprise-grade connection to cloud and enterprise applications; branch office enterprise appliances and optional data center appliances; software-defined control and automation; and virtual services delivery. VMware is the leader in virtualization and cloud infrastructure solutions that enable businesses to thrive in the Cloud Era. Customers rely on VMware to help them transform the way they build, deliver and consume Information Technology resources in a manner that is evolutionary and based on their specific needs. Check Point vSEC for VMware NSX protects dynamic virtualized environments from internal and external threats by securing virtual machines and applications with full range of protections. Wavecrest Computing, the makers of Cyfin, has been a recognized leader in Web Security Reporting for over 19 years. Wavecrest's scalable standard and forensic reporting analysis products are designed to enable organizations to successfully address Internet abuse, legal liability, workforce productivity, and Web security threats. ZeroFOX, The Social Risk Management Company, is the leader in security technology enabling organizations to monitor and prevent social media-based cyber attacks, conduct proactive attack reconnaissance and safeguard their social assets. Leveraging a multi-threaded data collection system and an advanced security analysis engine, ZeroFOX provides real-time risk-based URL threat indicators to prevent social media phishing and malware from impacting your systems and networks. Through a multi-tenant, globally-deployed infrastructure, Zscaler enforces business policy, mitigates risk, and provides twice the functionality at a fraction of the cost of current solutions. It enables organizations to provide the right access to the right users, from any place and on any device – while empowering the end-user with a rich Internet experience.